In order for effective healing, manifestation and empowerment to occur the Celestial Soul must first be activated. Therefore the initial feature of the Shamanic Empowerment Ceremony is to engage the Celestial Soul, bringing it into conscious embodied experience, rather than having it remain an ephemeral ‘angelic’ presence. By means of the Shamanic Drum we journey beyond the mental/emotional churnings that distract us. Having engaged our Heart’s Desire (by means of the Celestial Soul Activation) we slip into the Dream Realm to encounter the obstacles or impediments we hold that have prevented us from manifesting our Heart’s Desire. Next, now that we have integrated the Celestial Soul into our bodily framework, we enter the Celestial Realm to harness the power of the potentiality of all possibilities to provide us with the Empowerments needed to bring it all home into worldly manifest expression. These two Activations work synergistically to enable the Journeyer to experience life in an aligned manner greater than either ceremony done independently or in tandem is able to provide. With this Empowerment in place all future Shamanic Ceremonials become even that much more accessible and effective. 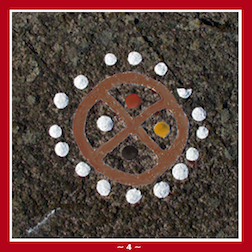 This is a ceremony intended to be done in person, one-on-one, with Jade Wah’oo. If you are coming to Sedona, please contact Jade directly to set up an appointment for a Shamanic Empowerment. If you are coming to see Jade in a region where he is being sponsored by another individual of organization, please arrange your appointment with the designated contact person. If you are ready to dive in deeper into your healing and empowerment journey following this Empowerment, a private session of two hours @ $333 can be arranged. Private sessions with new clients require the Shamanic Empowerment Ceremony as a prerequisite. Contact Jade Wah’oo to inquire about an appointment.